Brigadier General Alberto A. Nido (1 March 1919 – 27 October 1991) is a former United States Air Force officer who during World War II served in the Royal Canadian Air Force, the British Royal Air Force and in the United States Army Air Forces. He was also the co-founder of the Puerto Rico Air National Guard. After he graduated, he was given a job as an aviation instructor in the institution. An officer of the Royal Canadian Air Force (RCAF) who was in Tulsa looking for recruits asked Nido to consider joining them. Nido accepted the offer and on September 1941, he received a telegram from the RCAF office in New York City, requesting his presence at the Waldorf-Astoria Hotel. 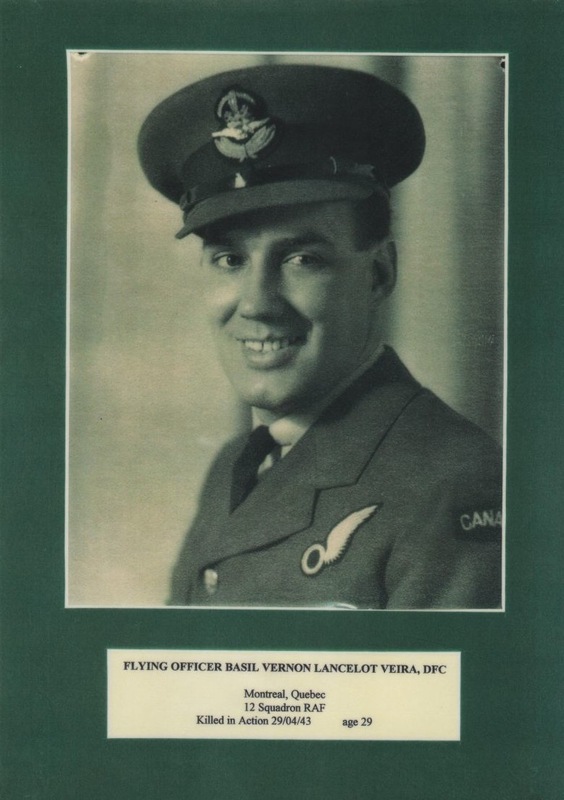 Nido traveled to New York and on 7 September, was sworn in as a member of the RCAF. 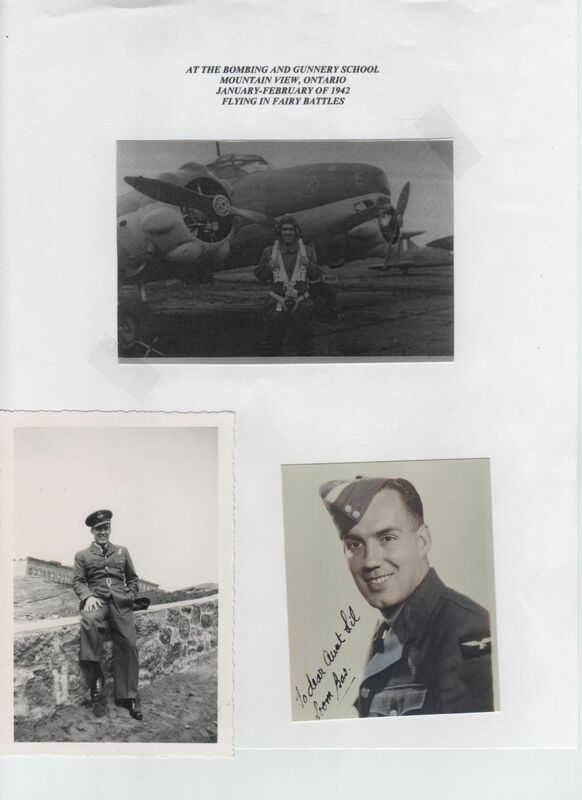 After 3 months of intense training in Canada, Nido was commissioned a Flying Officer and sent to an air base in Quebec, where he served as an aviation instructor to bomber pilots and artillery gunners. Nido returned to his homeland, to spend 15 days with his mother and three brothers Rafael, Pedro and Thomas, who were members of the United States Armed Forces. During his stay he met his future wife, Alile Colon, a university student at the “Colegio del Sagrado Corazon”, from the town of Yabucoa. 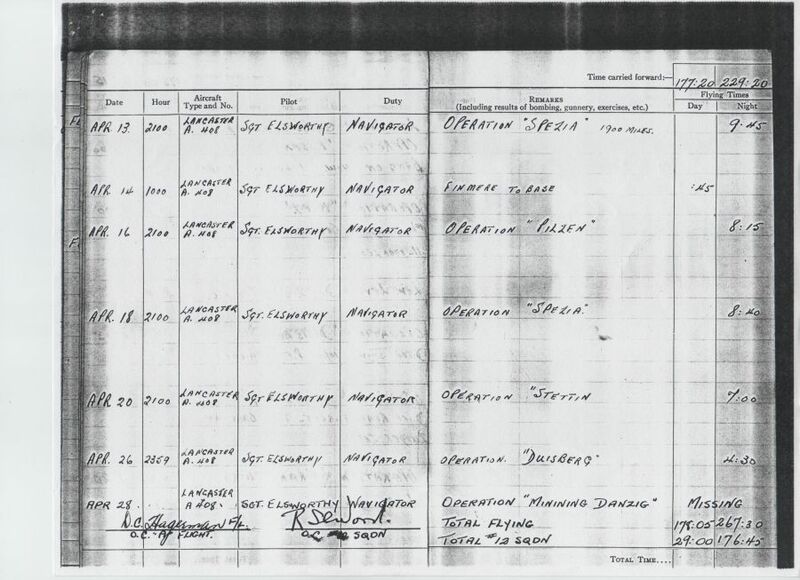 On 24 December 1942, Nido was sent to London, England, and participated on the European Theater of the war as a bomber pilot. He was transferred to 610 Squadron of the British Royal Air Force and participated in various combat missions as a Supermarine Spitfire pilot. 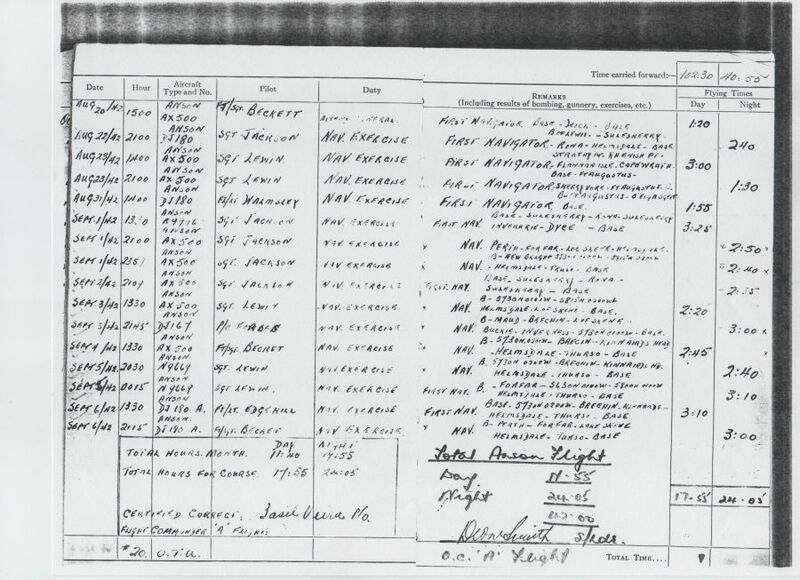 In November 1943, Nido, then a Captain, was among 10 pilots of the 67th Reconnaissance Squadron who were sent to weather school at RAF Zeals under the command of Colonel T. S. Moorman. His unit participated in 275 missions. 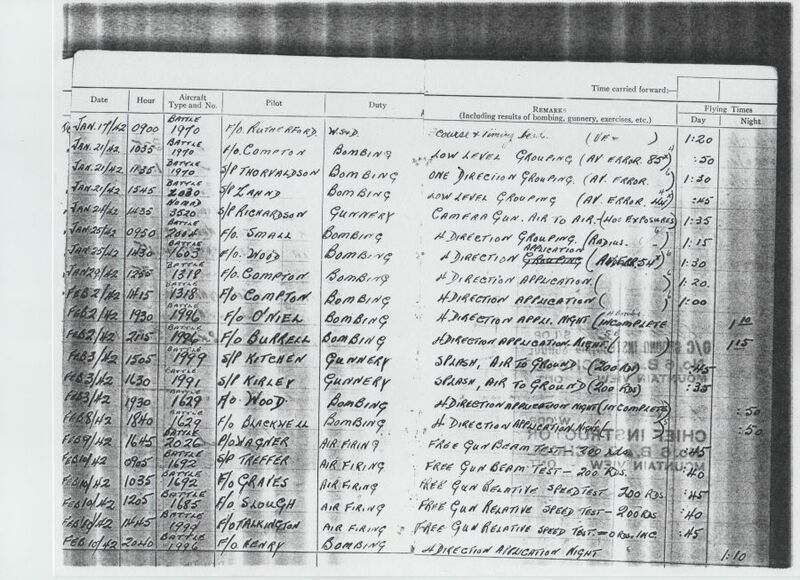 Later, in 1943, Nido and 59 other American pilots were transferred to the U.S. Army Air Forces. He was assigned to the 67th Fighter Group as a P-51 Mustang fighter pilot. Nido baptized his P-51 with the name of “Alile” in honor of the girl that he left back home. Brigadier-General Mihiel “Mike” Gilormini (August 3, 1918 – January 29, 1988) born in Yauco, Puerto Rico, was a United States Air Force officer who served in the Royal Air Force and in the United States Army Air Corps during World War II. He was the recipient of the Silver Star Medal, the Air Medal with four clusters and the Distinguished Flying Cross 5 times. He was also the founder of the Puerto Rico Air National Guard. Upon the outbreak of World War II, Gilormini offered his services to the Royal Air Force and served with them until November 30, 1942, when he joined the United States Army Air Corps with the rank of second lieutenant. In October 1942, he was assigned to the 346th Fighter Squadron and flew the P-39 interceptor. In March 1943, he was transferred to the 345th Fighter Squadron of the 350th Fighter Group in North Africa and Italy, to replace pilot losses. He stayed with the 345th “Devil Hawks” and flew a P-47 Thunderbolt until February 1945. During the war he was promoted to captain and flew a total of 200 combat missions over England, North Africa, Corsica and Italy. On May 19, 1943, Gilormini was involved in an aircraft accident when his P-39 went down over Maison Blanche, Algiers. Gilormini and Miller flew their last flight in Italy together giving air cover for General George C. Marshall‘s visit to their group at Pisa. They both returned to the United States on the same ship. Gilormini was awarded a Silver Star Medal and five Distinguished Flying Crosses. 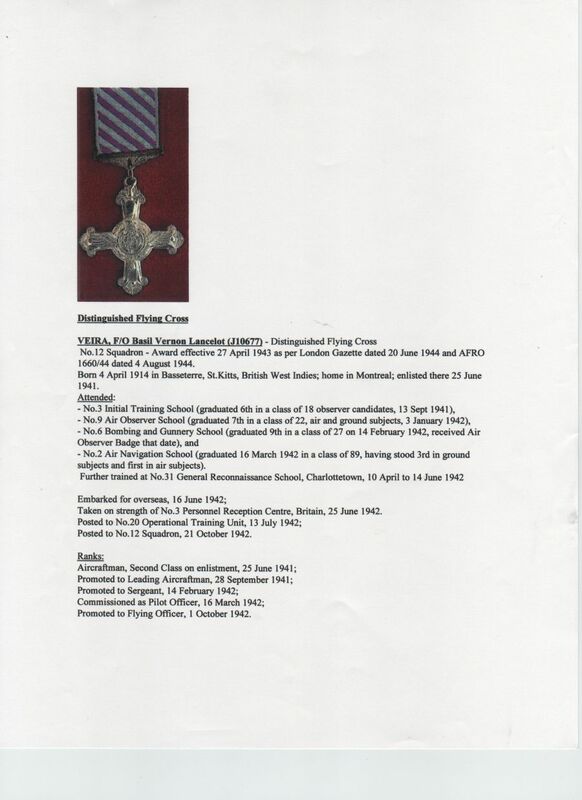 The Distinguished Flying Cross is a medal awarded to any officer or enlisted member of the United States armed forces who distinguishes himself or herself in combat in support of operations by “heroism” or extraordinary achievement while participating in an aerial flight. ARCHER, PHILLIP LESLIE IRVING Initials: P L I Nationality:United Kingdom Rank: Squadron Leader Regiment/Service: Royal Canadian Air Force Age: 27 Date of Death: 17/06/1943 Service No: J/3508 Awards: D F C Additional information: Son of Frederick Leslie and Millicent Beryl Archer, of Hastings St. Michael, Barbados. R Sc. 17 June 1943 421 RCAF Squadron.Spitfire IX LZ996 Rodeo pm. Shot down by JG26 Fw190 near St.Omer.FCL Vo.2 Franks. [Source: Air Force Association of Canada:]- ARCHER, F/L Phillip Leslie Irving (J3508) – Distinguished Flying Cross – No.416 Squadron – Award effective 24 August 1942 as per London Gazette dated 11 September 1942 and AFRO 1535/42 dated 25 September 1942. Born in Bridgetown, Barbados, 1917. Joined RCAF in Montreal, 6 June 1940. Trained at No.1 ITS , No.6 EFTS, and No.1 SFTS. 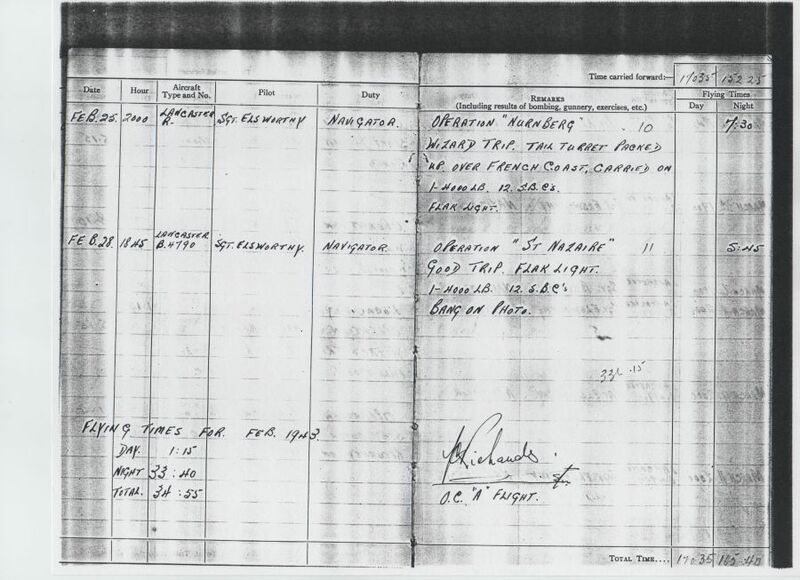 to No.92 Squadron, 5 May 1941 where he destroyed three enemy aircraft and damaged one. to No.416 Squadron (“A” Flight Commander), 10 March 1942.
killed in action 17 June 1943. 17 June 1943, one FW.190 destroyed (action in which he was killed). Photo PL-7689 (with P/O Buchan); PL-7690 (in front of Spitfire); PL-11906 (portrait); PL-15375 (F/L E.H. McCaffrey, S/L P.L.I. Archer, F/L D.J. Williams after investiture). This officer has completed sorties over enemy territory and has destroyed at least four enemy aircraft. On one occasion, although wounded in the leg, Flight Lieutenant Archer flew his badly damaged aircraft back to the base where he executed a skilful landing. He is a most efficient leader. Award effective 1 September 1944 as per London Gazette dated 15 September 1944 and AFRO 2373/44 dated 3 November 1944. 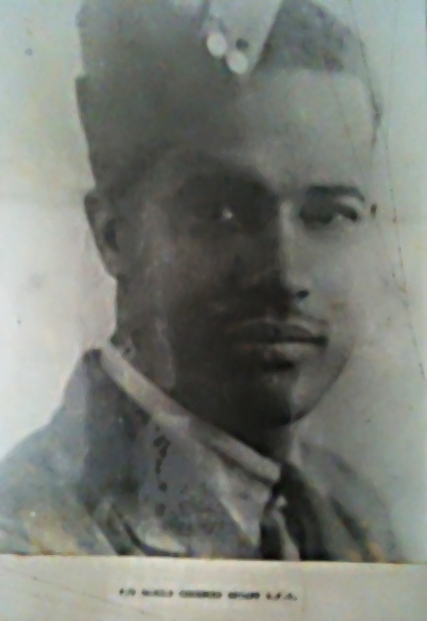 Born 1919 in British West Indies (Antigua); served in Officer Training Corps, England, 1932-1936. 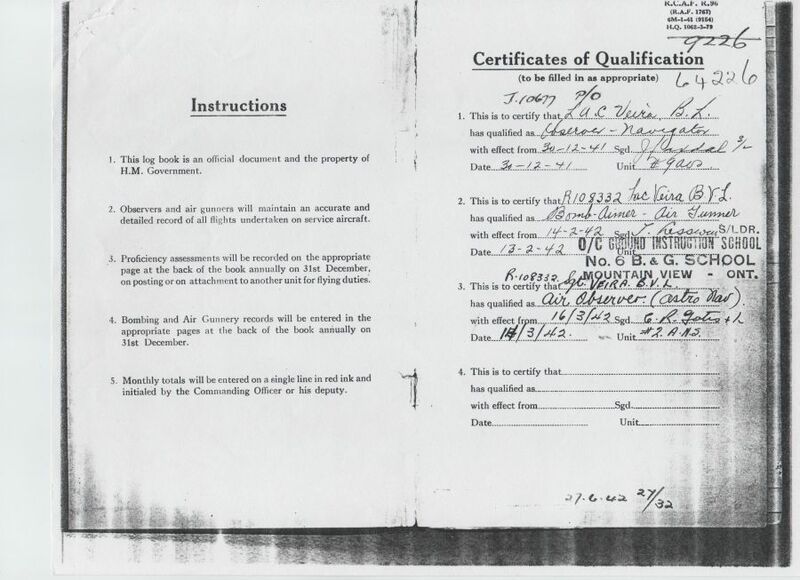 Home in Radcliffe, Manitoba; enlisted in Montreal 24 August 1940. Trained at No.1 ITS (graduated 3 November 1940), No.3 EFTS (graduated 23 December 1940) and No.5 SFTS (graduated 17 March 1941). Invested with award by King George 29 June 1945. This officer completed a tour of operational duty on Hudson aircraft. He has since taken part in many anti-submarine patrols. Early this year he was captain of an aircraft which delivered a telling attack on an enemy U-boat. This attack was pressed home in the face of extremely heavy anti-aircraft fire and in very bad weather. Since the above action Flight Lieutenant Camacho has continued to display great keenness and a fine fighting spirit. 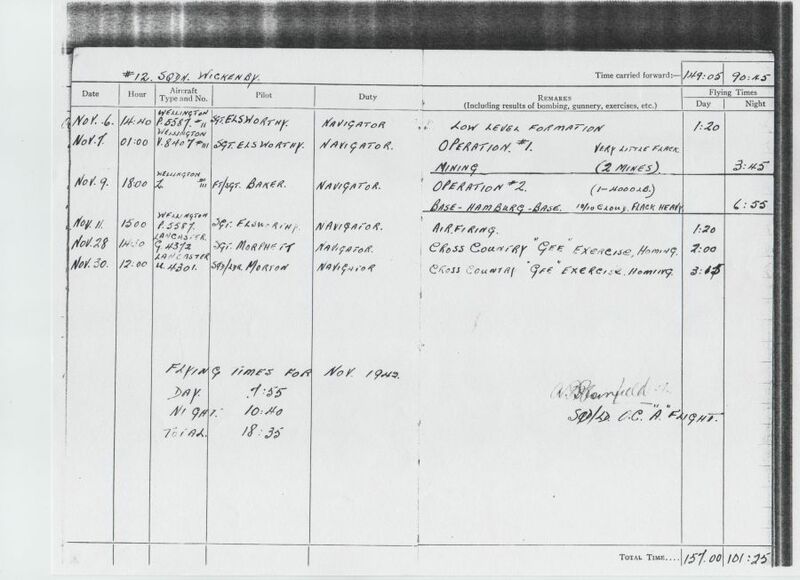 NOTE: Public Records Office Air 2/9276 has original recommendation dated 17 July 1944 when he had flown 23 Very Long Range sorties (326 operational hours); he was reported as having flown 500 hours on his first tour ! This officer joined No.59 Squadron on the 12th November 1943, and has since completed 23 sorties. This is his second operational tour wit Coastal Command, having already competed a tour on Hudson aircraft prior to joining this unit. 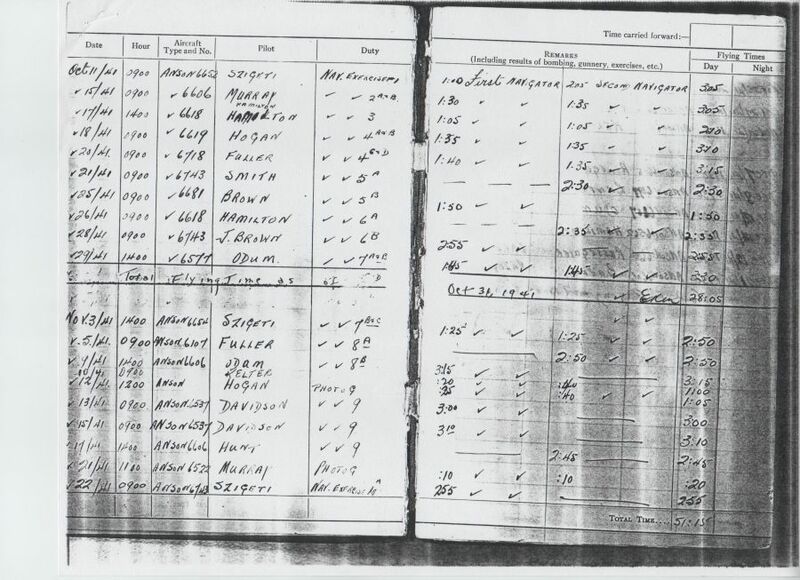 On the 27th May 1944, Flight Lieutenant Camacho was captain of aircraft “S” (No.59 Squadron) when a U-boat was sighted in an estimated position of 62∞ 37′ North, 00∞ 57′ East. The weather conditions at the time were extremely bad and the captain was forced to descend below 300 feet before breaking cloud and making his sighting, having previously obtained a radar contact. The captain, however, pressed home a very determined attack at low altitude in the face of extremely heavy flak. During the run in, the starboard engine was damaged by a cannon shell to such an extent that the aircraft returned to base on the remaining three engines. The attack was, however, well executed, and an analysis given by higher authority was “probably sunk”. Since the above action, Flight Lieutenant Camacho has continued to display great keenness and aggressiveness in carrying out his duties concerning U-boat warfare, and has been a fine example to junior and less experienced members of the squadron. 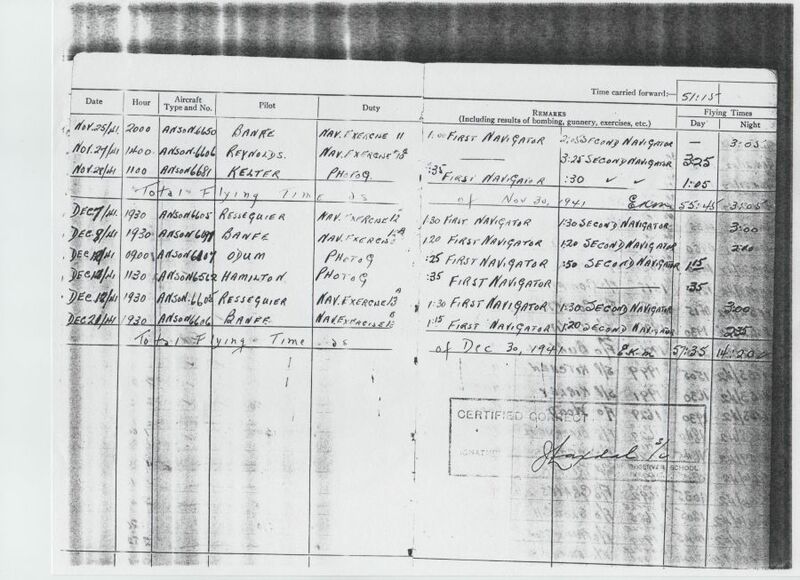 Sunday Guardian 14 June 1942:- PO T R Wood, son of the Hon’ble B R Wood of British Guiana, reported missing after Bremen raid on night June 4/5 1942. 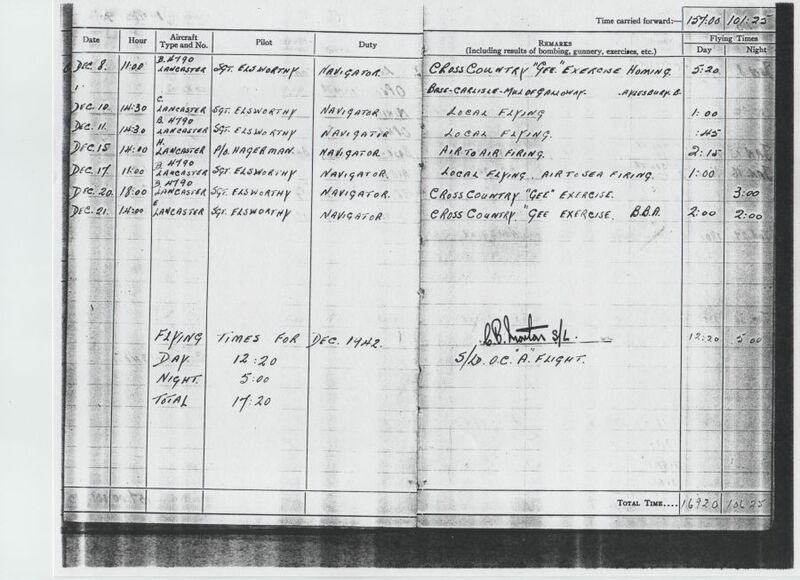 Sometime during Oct/Nov last year (1941), he injured his shoulder when forced to bail out after petrol supply ran out. This stamp was issued in 1998 to mark the 80th Anniversary of the Royal Air Force. 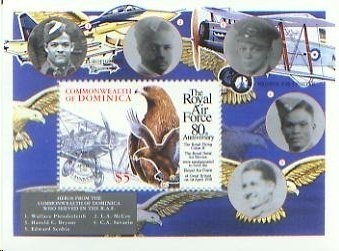 It reflect the portraits of Dominicans who served with Honor as RAF Aircrew. 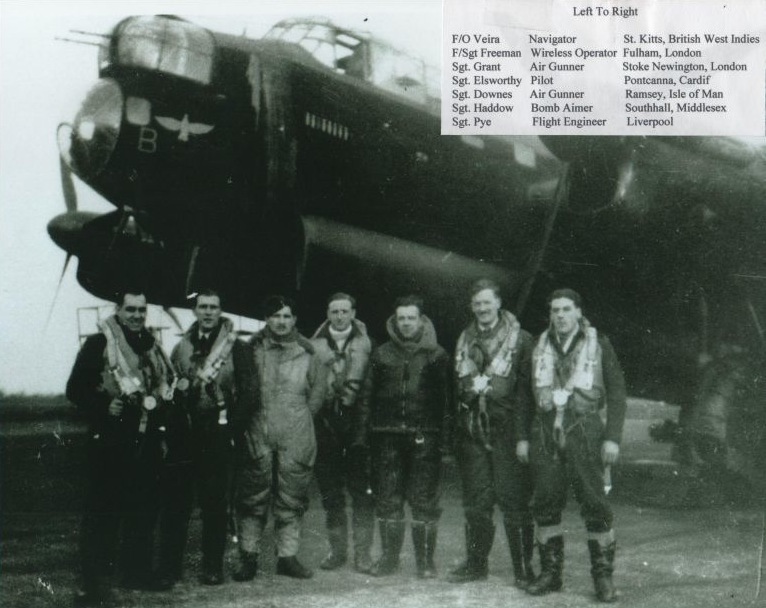 From left to right; Wallace Wordsworth Plenderlieth, L.A. McKoy, Harold Cherberd Bryant, DFC, Clifford Severin, Edward Dyrample (AKA Edward Scobie). 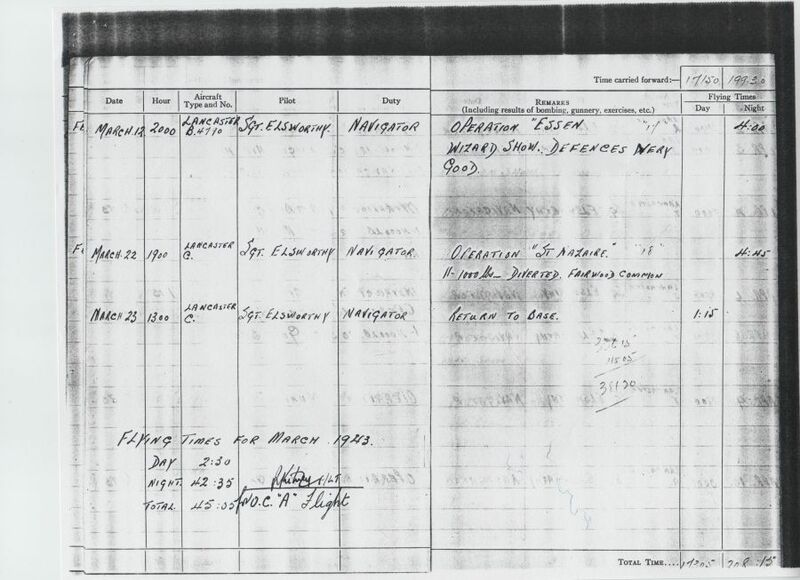 McKoy, Bryant and Osmunde St. Claire Alleyne were killed in action. Their names are on the cenotaph on Victoria Street Roseau next to the battlements of the old British Army Fort Young (within which a modern hotel now nestles – cannons and all). 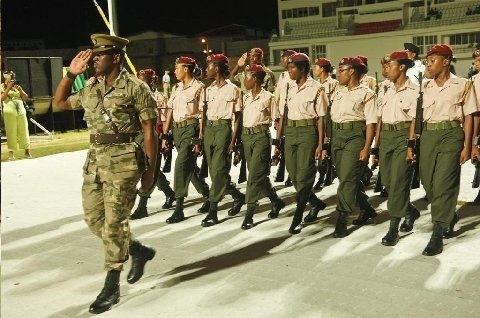 Every year the aged veterans (very few left), the Police, Scouts, Girl Guides and Army Cadets of the Dominica Cadet Corps parade by in honor to men who are considered heroes for the gallant service rendered in the fight for democracy and freedom. Wing Commander, Aubrey Inniss, DFC, wartime fighter ace, was born in Barbados on November 21, 1916. 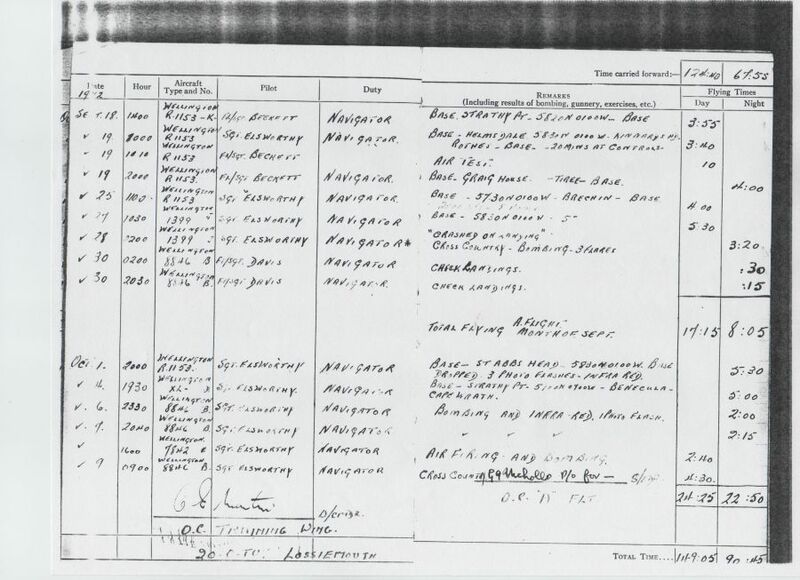 He joined the RAF in January 1939 on a service commission and by September when war broke out he had been trained and was posted to 236 Squadron, flying the Blenheim 4Fs on anti-shipping duties. 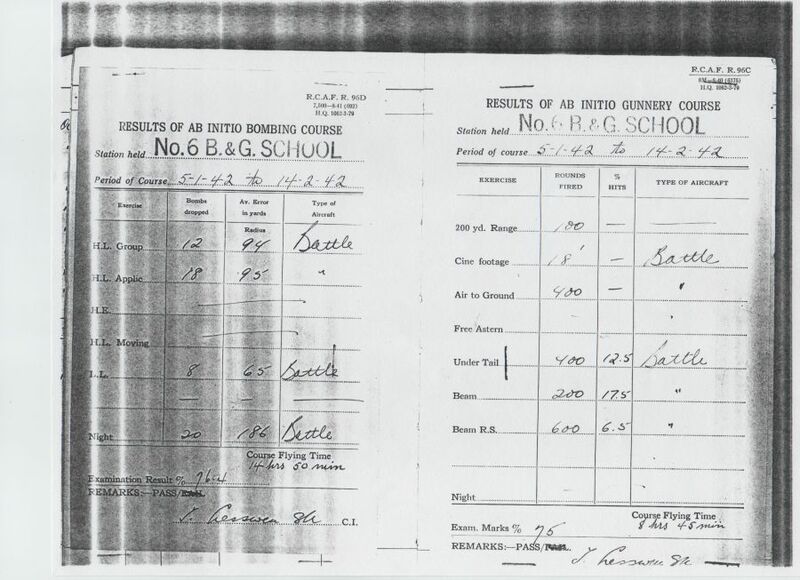 On September 23, 1940 Inniss had his first kill when he shot down a Heinkel He 111. In 1941 he was posted to the 248 Squadron, flying the Beaufighter which was a powerful and much faster aircraft with four 20mm cannon and six machine guns. 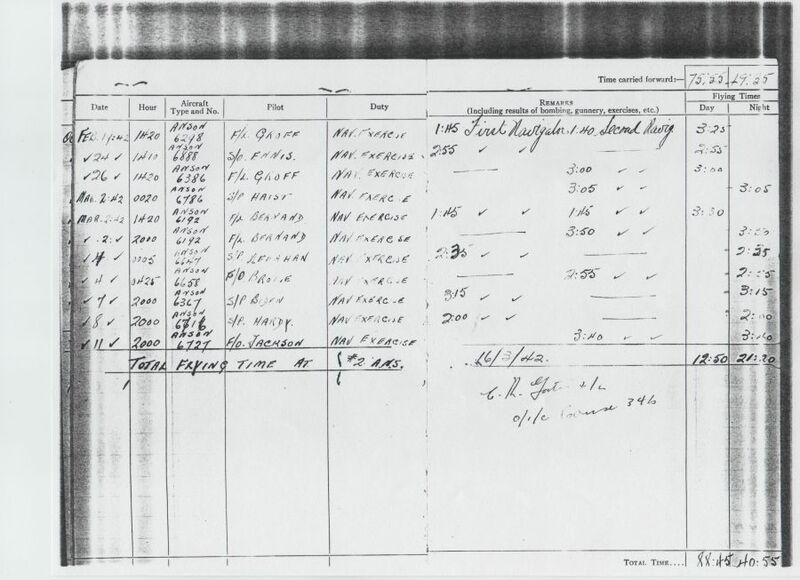 Patrolling from St. Eval in Cornwall to as far as the Bay of Biscay, he was able to shoot down two Ju 88s in January and March 1943. 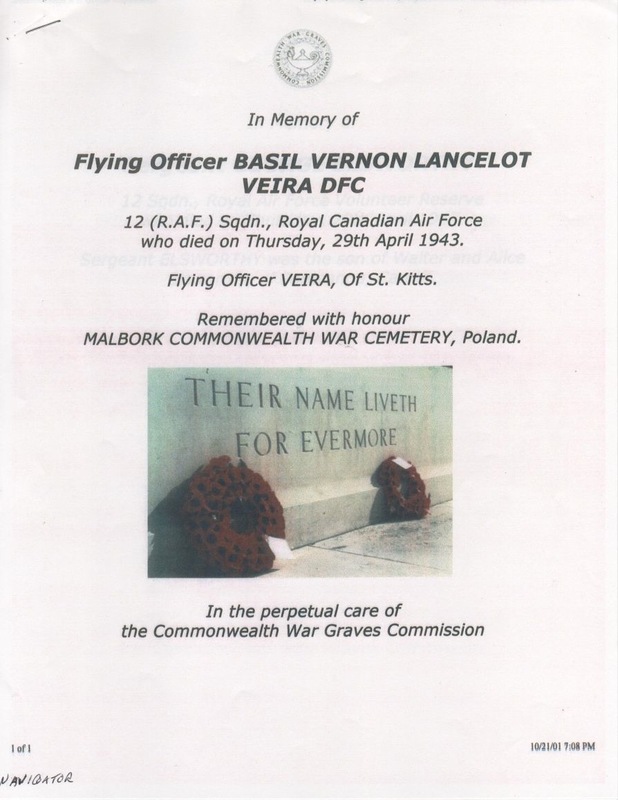 In July of the same year he was awarded his DFC having added another victim to his tally. He was later promoted to Wing Commander and ended the war with seven (7) kills. Aubrey Inniss retired from the RAF in 1958 and along with his wife Ruth, ran a fishing pub at Sheepwash, North Devon. After his wife‘s death in 1975, he spent most of his time in Barbados and died there on January 30th, 2003 at the age of 86. Equipped with Gladiators and sent to Norway in April 1940 in an attempt to give air cover for British and Norwegian forces. Operations from the frozen Lake Lesjaskag ended when Luftwaffe bombers destroyed the aircraft on the ground and returned to the UK to re-equip. In May, the squadron arrived back in Norway, this time further north and flew patrols until the Allied forces were withdrawn from Narvik. They fought continuously until 7 June, claiming 26 confirmed victories. 10 Gladiator aircraft of 263 Sqn were flown on board HMS Glorious in the early hours of 8 June for transport to the UK. Shortly after 1600hrs on 8 Jun 1940, Gneisenau and Scharnhorst were sighted. 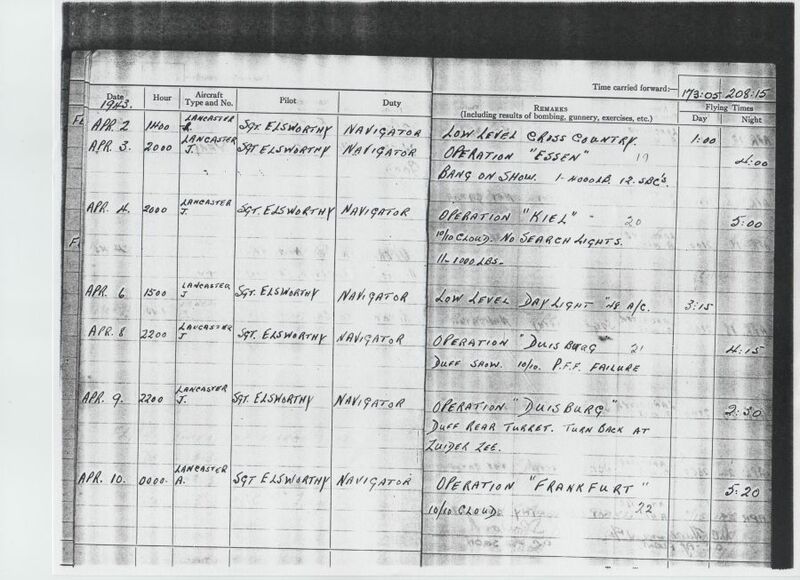 “Glorious” received her first hit from Scharnhorst at 1638hrs and sank at about 1810hrs. Also sunk were HMS Ardent & HMS Acasta. 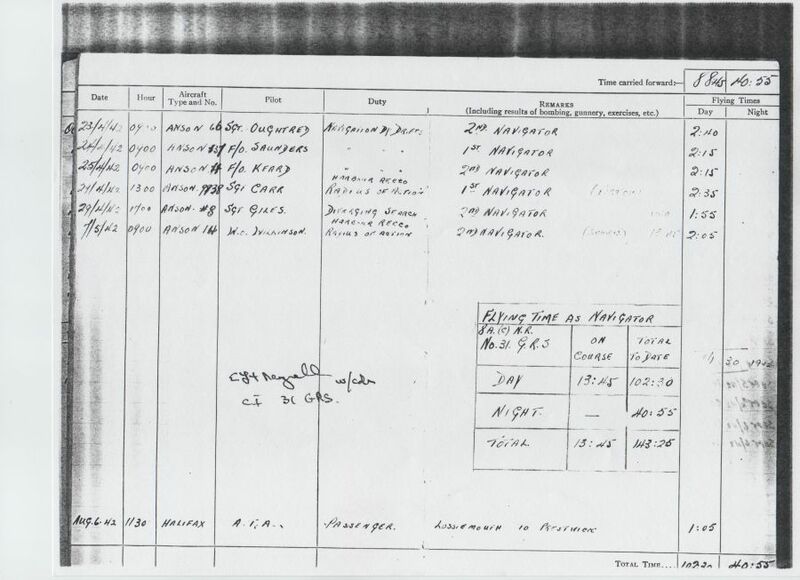 Total losses of over 1500 officers & men of the RN, RM and RAF. 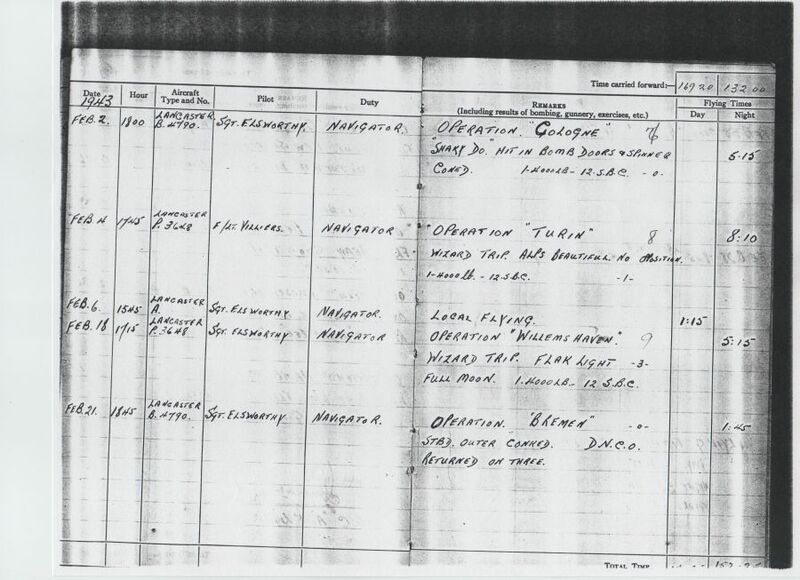 Next of Kin: Son of Ernest Grant Ede and Winifred Louise Ede, of Pembroke, Bermuda. Additional information: Son of Frederick Henry Robertson and Madge Robertson,(nee Goodey) of St Andrew, Jamaica. Liberator GR.V BZ868 Ran out of fuel and ditched 100 mi SE of Trincomalee, Ceylon May 1, 1945. Three American Mk. 36 mines were dropped between positions 011342N 1033330(? )E and 011330N 1033620(?)E. On return journey when in position 0710(?) 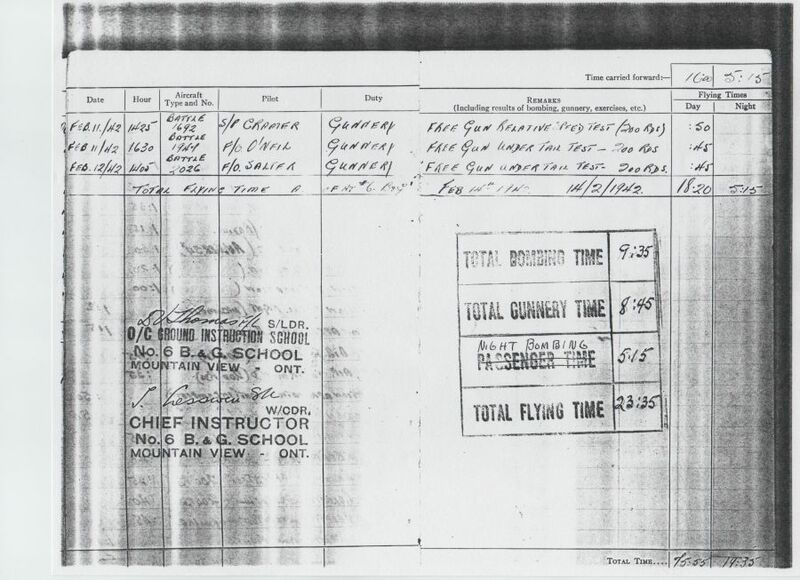 830?E all engines failed and captain glided aircraft from ???? feet to sea level, levelled out and ditched. The crew got out with the exception of J29?? ?F/O D. J. 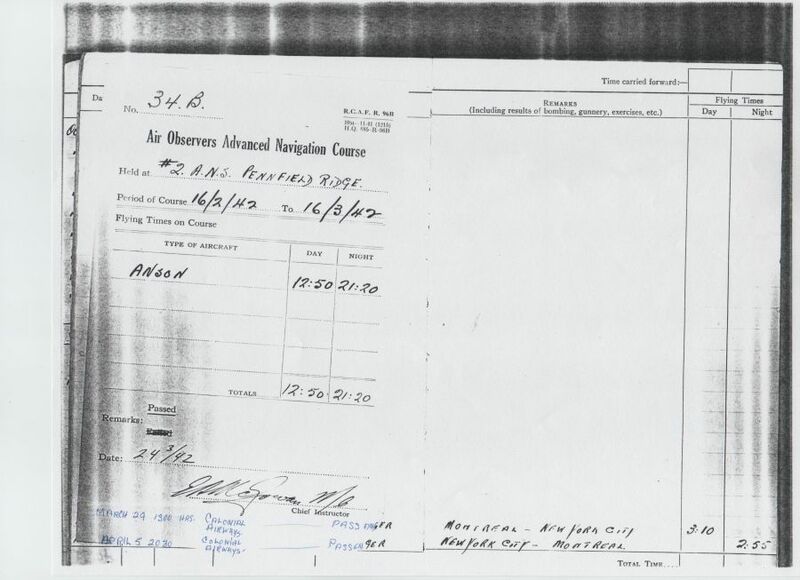 A. Robertson (Nav) who was not again seen. The Captain Can C12?? 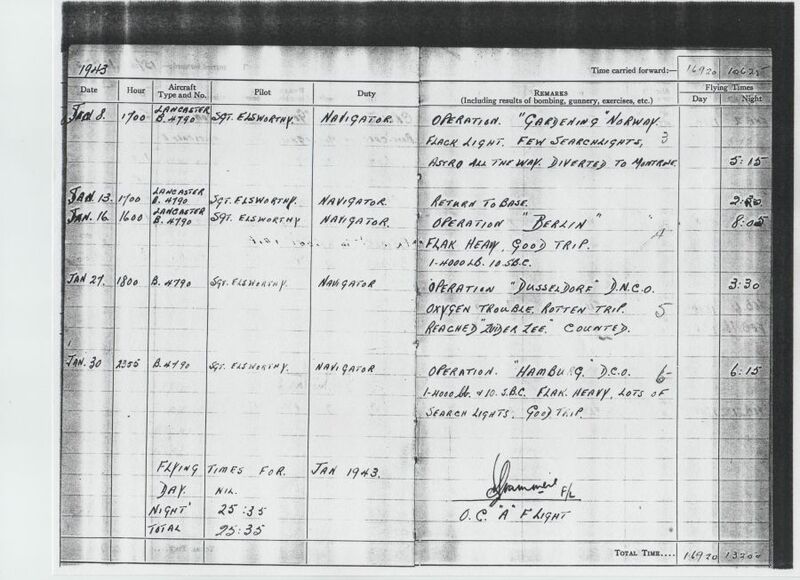 S/Ldr D. G. M. Joy suffered from sever head injuries in the ditching and died in the water. Aus. 414878(?) W/O P. D? Arscott (Wop/AG) was drowned. The remainder of the crew were in the water approx. 8 hrs until being picked up by HSL after sighting A/C.